Elements Applied: The bark and young leaves are applied in herbal medicine. Active Components: Flavonoids, mostly quercetin glycosides, hyperoside, and luteolin. Used For: The remedy is applied for diarrhea. It is used to boost perspiration, and urination. Birch leaves are effectively applied for urinary tract conditions like cystitis, and are also useful in eliminating excess liquid from the organism. Probably due to its purifying capacity the plant is applied for average arthritic pains, rheumatism, and gout. The bark is applied directly to the affected area, with its fresh internal side put directly to the aching muscle. To treat kidney stones the herb is applied in form of infusion once a day, in a dose of one to one and a half cups. To cure skin conditions the remedy is added to bath water or used for washing. In order to fight hair loss, the remedy is used in form of leaf decoction, or applied fresh. The decoction is also applied for calming the nervous system in case of insomnia. In case of recurrent and strong cases of skin condition the bark decoction is applied as a wash. The oil produced from the bark is occasionally applied as an alternative for wintergreen. Additional Info: White birch can reach 65 feet high and is indigenous to the northern areas of Europe, Canada, and the USA. 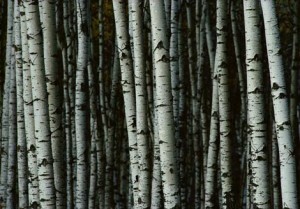 The white bark it has can be taken off in horizontal parts. The leaves are green-colored, with the lower side being lighter, and the surface covered with fuzz. Both female and male plants blossom, but seed cones can be taken only from the female ones. Preparation and Intake: Only fresh leaves are applied. For an infusion, take 1 tablespoon of leaves and fill them up with half a cup of warm water. For a decoction, take 1 tablespoon of leaves and fill them up with half a cup of water. Boil the mixture up, let infuse for 2 hours, and aid with half a teaspoon of soda bicarbonate. Use in a dose of one cup per day. In form of juice used in a dose of 1 teaspoon a dose, when necessary. Commonly mixed with: As an aid in urinary tract conditions, the herb is combined with bearberry. To treat rheumatism the herb is mixed with black willow.